More than 140 librarians learned how to use the micro:bit! 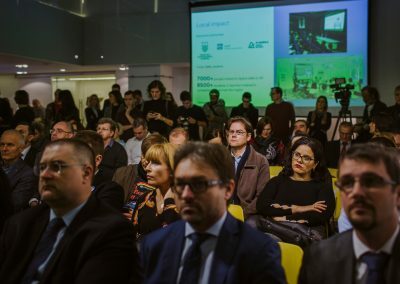 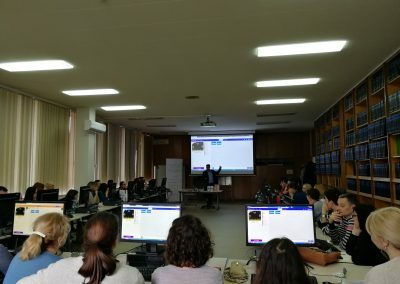 “Digital Citizen” is project led by IRIM that aims to transform libraries into digital innovation and educational centres. 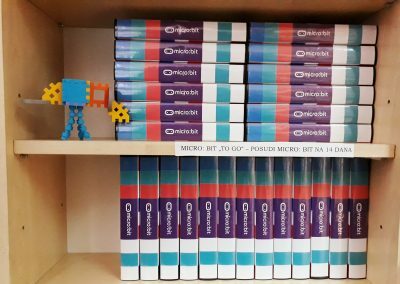 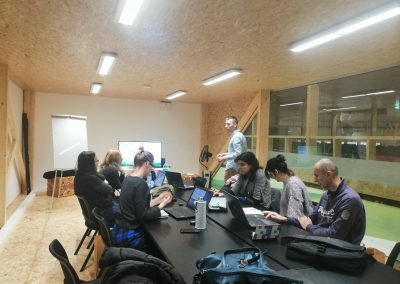 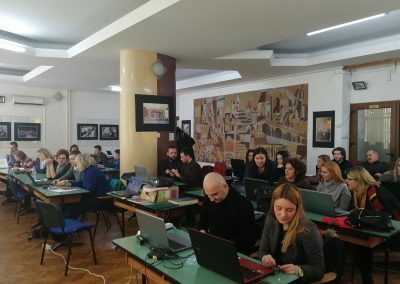 Educational equipment (micro:bits and BOSON sets) was acquired for more than 170 libraries from Croatia, Serbia, Bosnia and Herzegovina and Kosovo. 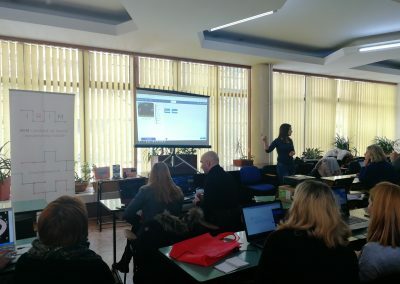 This will enable libraries to introduce digital skills in to their local communities. 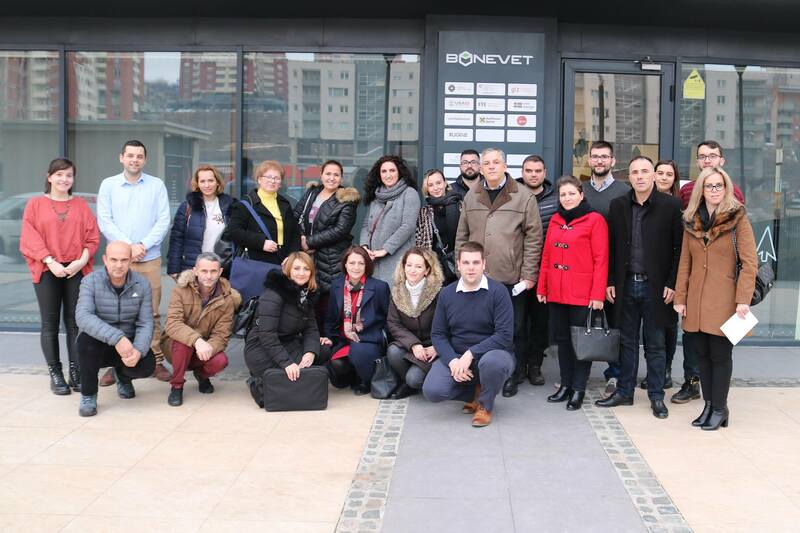 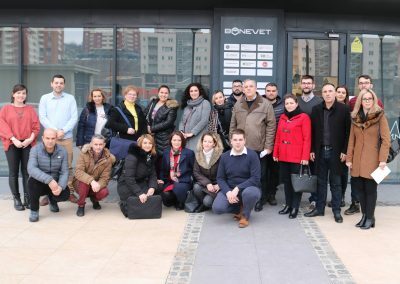 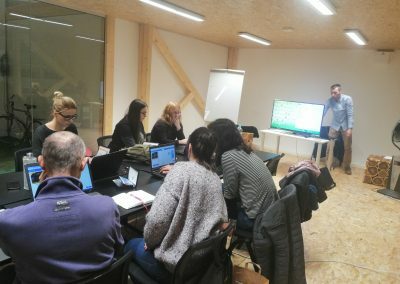 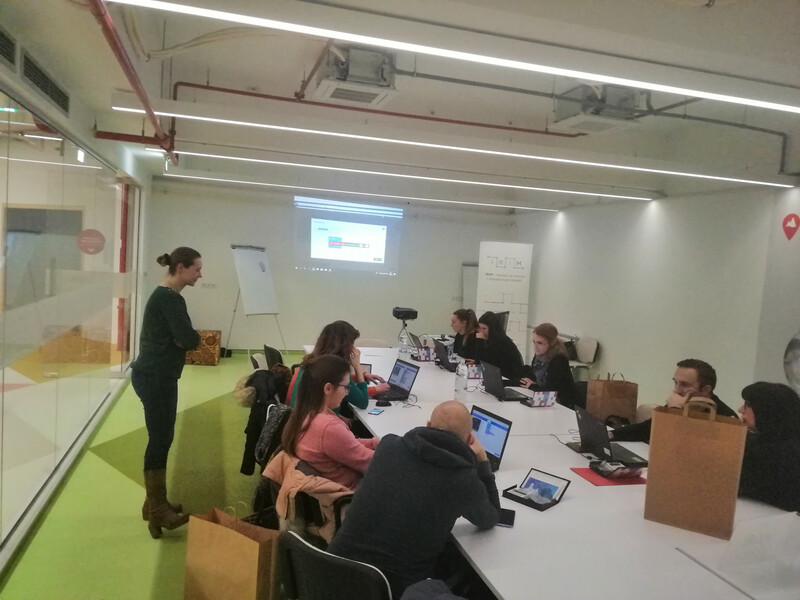 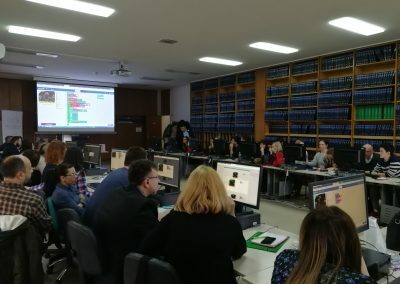 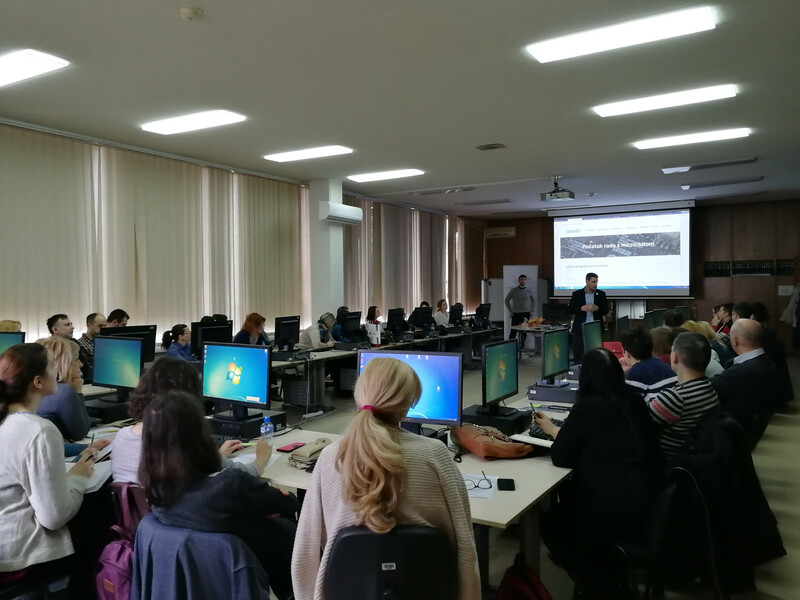 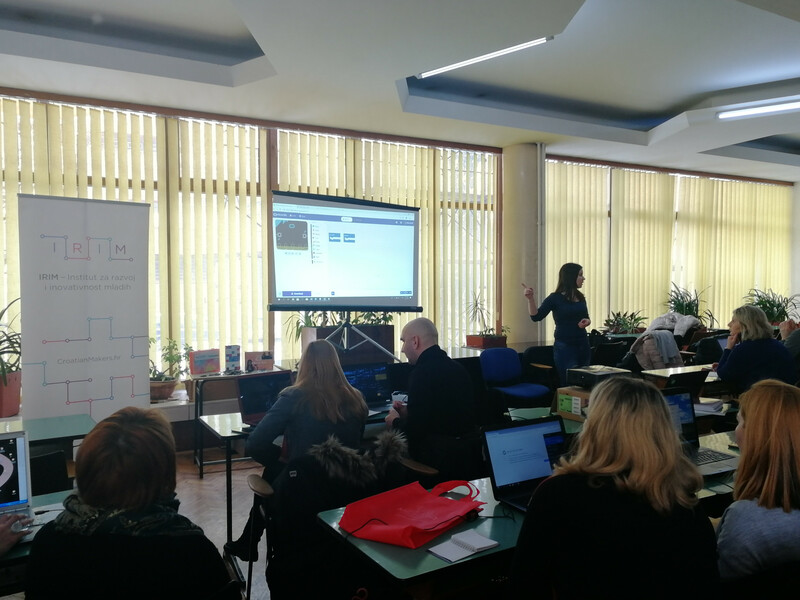 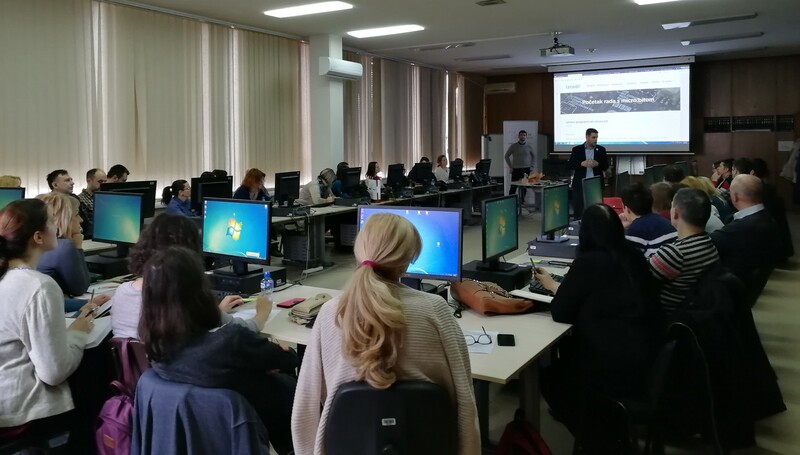 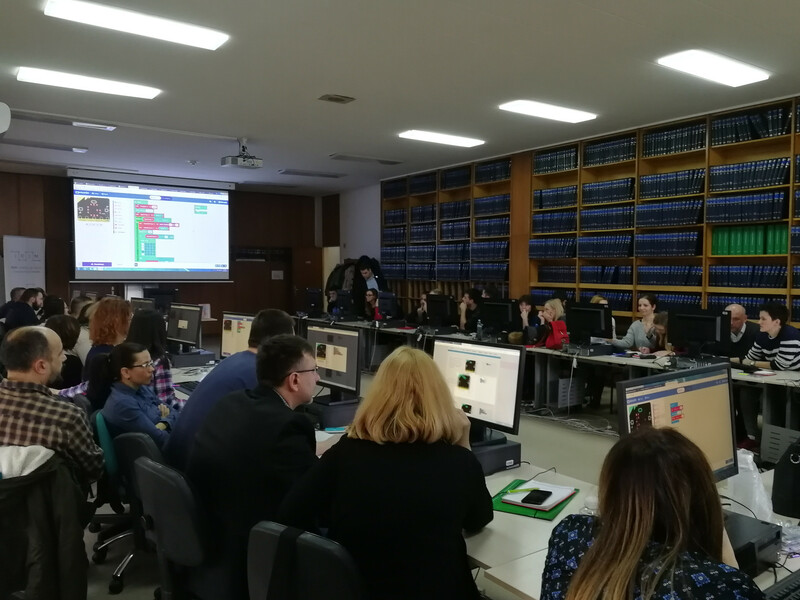 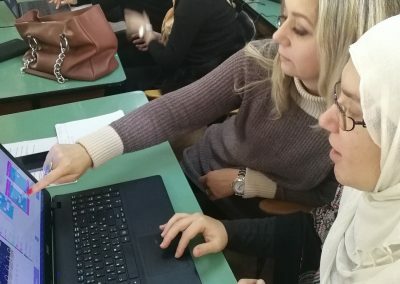 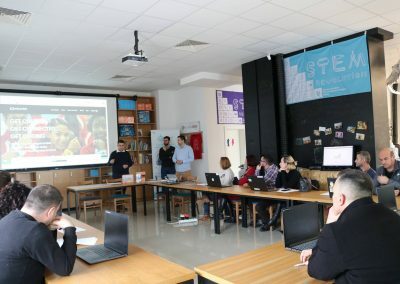 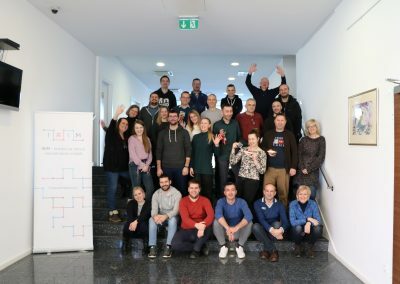 During January 2019 IRIM’s educators held initial workshops for newly included libraries from Croatia, Serbia, Bosnia and Herzegovina and Kosovo. 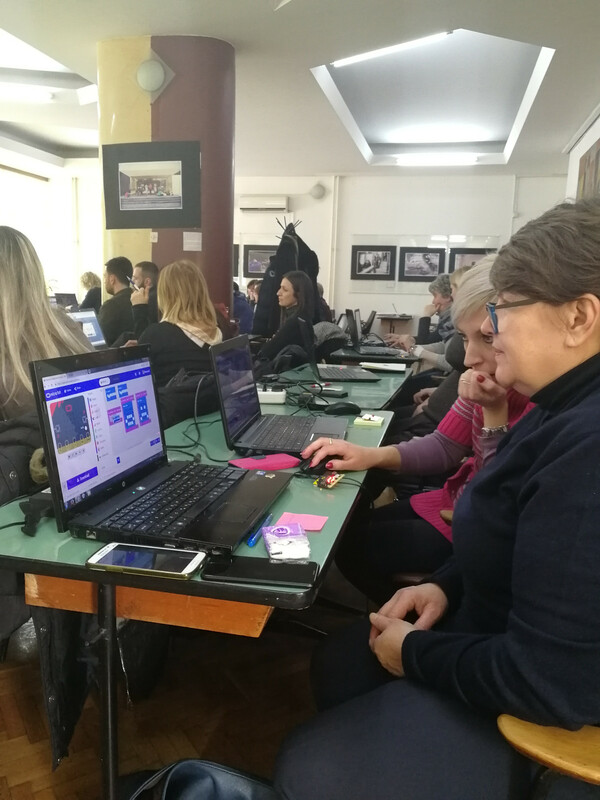 In workshops librarians learned how to use the micro:bit and how to code their first programme code lines. 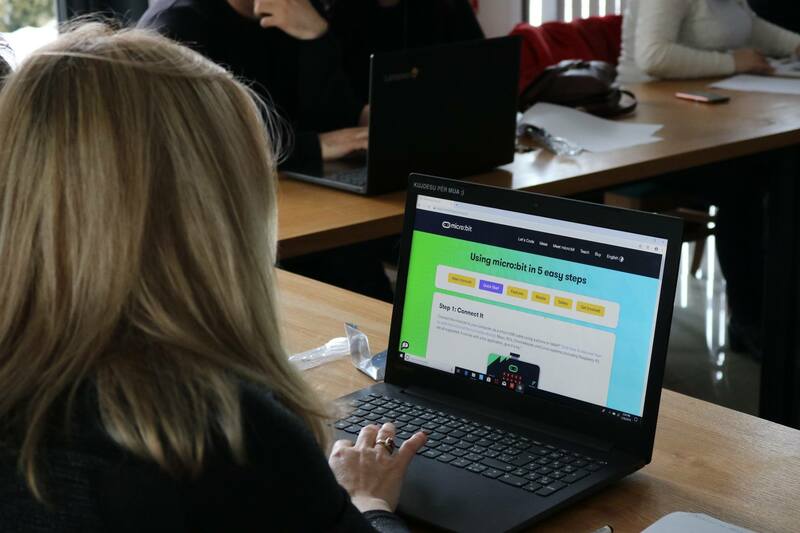 Micro:bit is a simple new technology that enables users to enter a world of coding in an easy and fast way. 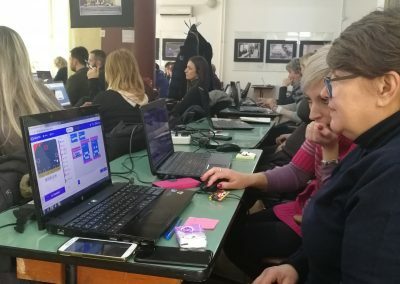 And this is how librarians became programmers because they have learned how to turn micro:bit into a dice or into a thermometer. 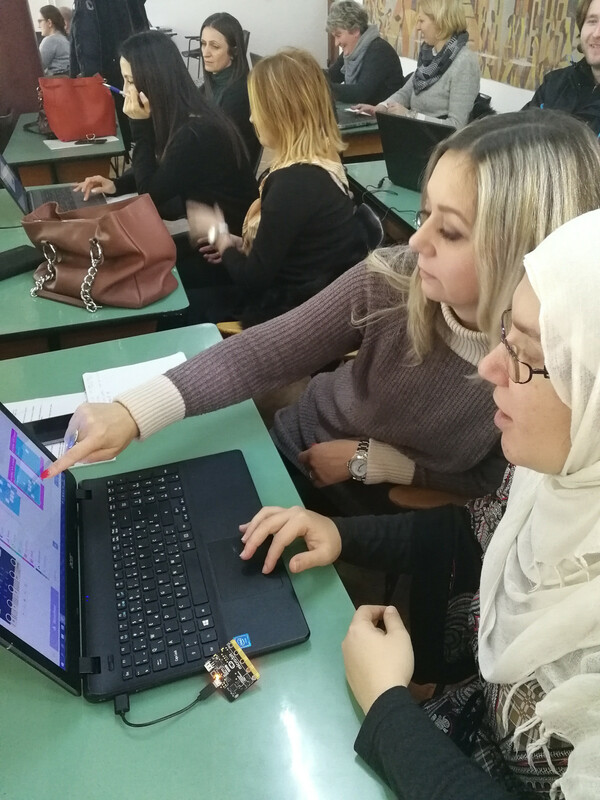 There is no age limit for using micro:bit and to use it you don’t need to have prior technical knowledge. 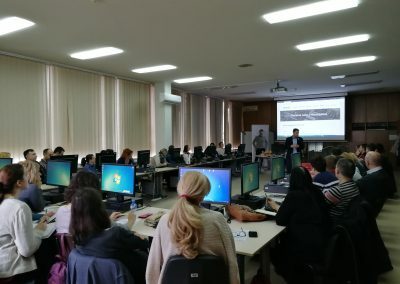 We will start with the second educational cycle soon. 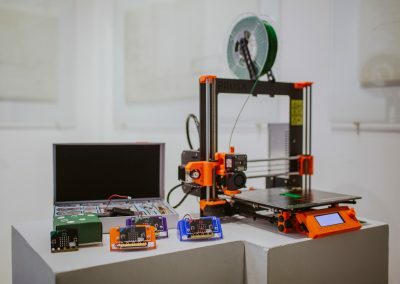 The librarians will learn how to use the BOSON set of additional equipment that will enable them to develop new creative projects. 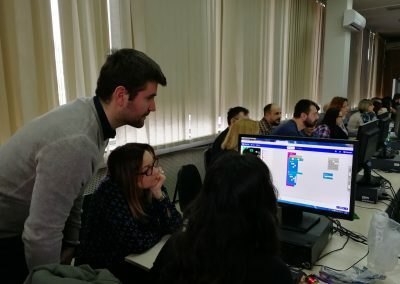 Do you want to participate in a workshop in your library or try to code at home with borrowed micro:bit?